Alvin also known as Flash is the owners of Alvin’s Auto. Alvin started in the business in 1966 when he was eight, stripping wires for the copper. Alvin has been in the recycling industry for 40 years. He has owned Alvin’s Auto since 1985, before that it was called San Pablo Auto Wrecking established in the 1920s. Alvin is currently president of the local chapter of Bay Area Auto Recyclers Association (BAADA). He has also served as vice president, and supported board members throughout the years. He has been on the board of directors for the State Association (SCARA). His passions are his family and business, helping the community and building cars. Jamie Collier, Alvin’s favorite brother, started in the industry just like his older brother, stripping wire for copper for his dad. Jamie also has 30 years in the industry. He is the parts specialist. He also does counter sales, inventory and parts delivery. His passions are his family, building cars and riding his motorcycle with his friends. As you can see, all three of us grew up in the industry. 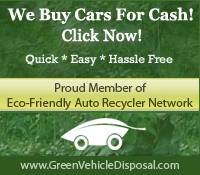 We know all aspects of the recycling business inside and out, we know and love cars.